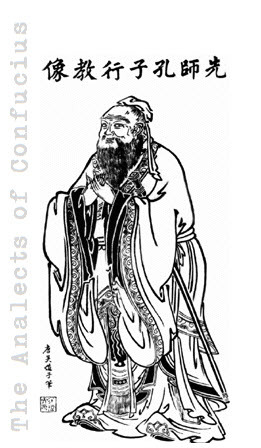 Information about the Analects of Confucius. The Analects are a collection of the teachings and thoughts of Confucius; they also contain fragments of dialogues between the great Chinese philosopher and his disciples. The name in English derived from the word "analect" which means a fragment or extract of literature, or a collection of teachings. In Chinese, the book is literally called "discussion on the words [of Confucius]." The Analects are believed to have been collected by the disciples of Confucius and not by the sage himself. 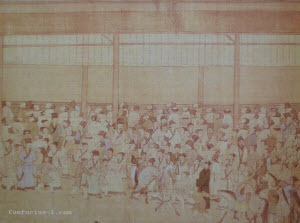 Written during the Period of Spring and Autumn and Warring States Period (ca. 479 BC - 221 BC), the Analects are considered among the most representative works of Confucian thought, and still have a great influence on Chinese culture and East Asia. The Analects were probably written over a period of 30-50 years. Started during the Spring and Autumn Period, the work of collection and organization of Confucian teachings was probably completed during the Warring States Period, although the precise date of publication of the complete work is unknown. In China, the work has been by many attributed to Confucius himself, but the philological investigations to date do not allow to go back to a reliable source, partly because of the devastating book burning of 213 BC by the First Emperor Qin Shi Huang. The chapters are grouped by themes of the Analects, but do not develop a structured discussion. The sequence of chapters seems entirely random, dealing with topics that are in no way connected. Some central themes are repeated in various chapters, sometimes in the same wording and sometimes with slight variations. This has led some scholars to conclude that the book was not written by a single author, but is the collective work of several people. It is likely that the editors end of the Analects were probably the disciples of Confucius or of Zengzi, one of his most influential students. At first there was no canonical version of the Analects. At the time of the Han Dynasty, there were three versions of the Analects: those of Lu, those of Qi, as well as the ancient texts of the Analects. The Qi and Lu versions were very similar, but the version included two additional chapters in addition to the twenty chapters three chapters common to the other versions. The ancient texts divided the one chapter into two parts, and the remainder of the chapters and text were ordered differently than the other two more recent versions. Towards the end of the Western Han Dynasty, Zhang Yu, a tutor of Emperor Cheng, the combined versions of Qi and Lu Analects while keeping the number of chapters of the Lu version. The version of Zhang became known as the Marquis Zhang Analects, and is the version known today. 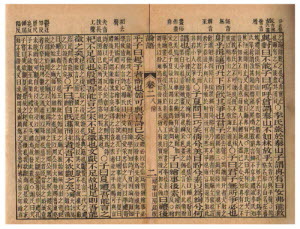 A later version of the Analects written on bamboo strips before 55 BC, was discovered in 1973 in Dingzhou (Dingxian) in Hebei Province, and was published in 1997. This version, although fragmentary, may help to shed new light on the textual tradition of critical dialogues in future editions. 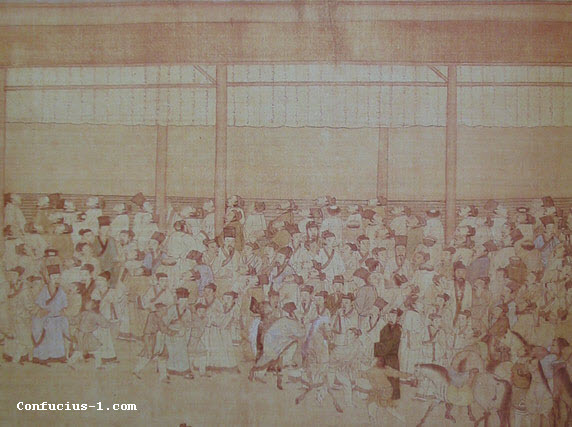 of the Imperial Examinations - circa 1560. Success depended on a thorough knowledge of the Analects. From the time of Confucius, the Analects have strongly influenced the philosophy and ethical values of China and, later, other East Asian countries. A man who was unfamiliar with the Analects was considered uneducated and not morally upright. Together with other works that make up the Four Books, the Analects teach the main Confucian virtues: Decorum, Justice, Fairness, and Filial Piety. For nearly two thousand years, the Analects were the foundation of Chinese education. 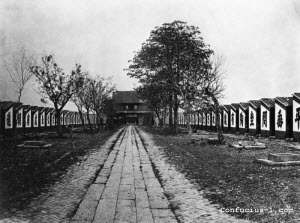 The rigorous imperial examinations, which thousands of young men took each year in the hopes of gaining employment as functionaries in the imperial government, required a thorough knowledge of the Analects and the teachings of Confucius. 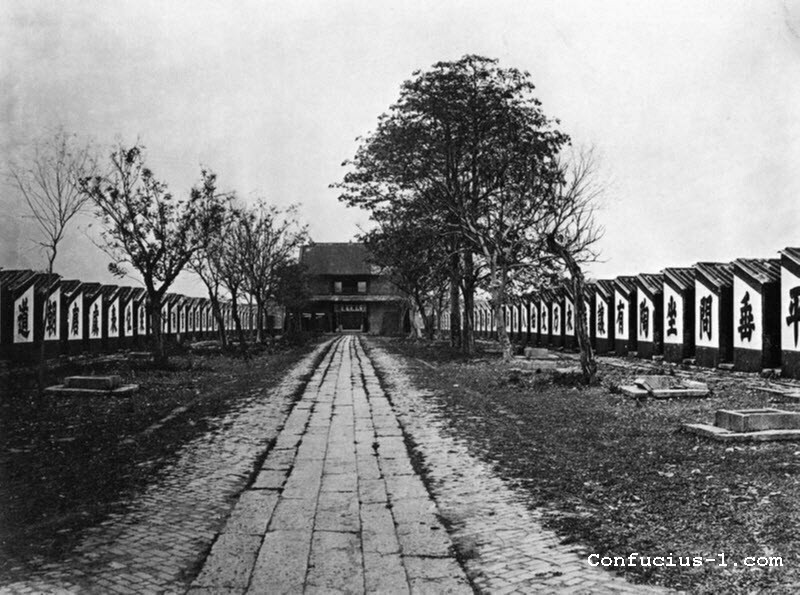 The Analects did not cease to be the central part of Chinese education until the creation of the Chinese republic and the reforms of 1905-1908 which abolished the imperial examinations. After the Communist takeover, the Analects and Confucianism, fell into disfavour with the government, but its teachings are so ingrained in Chinese society that they continue to shape the morality and thought of millions of Chinese.